How Do I Help My Child Be Resilient? What a “resilient kid” means depends on who’s using the term and how they’re using it. In the best, most accurate use of the word, it means a child who has good adaptive capacities to process various experiences, even difficult ones, and continue to thrive. Resiliency is an important quality for later success in all areas of life, and in our opinion, one of the best things to build into a child. In the not-so-good use of the term, it means that “my child will be fine no matter what I choose to drag her through.” It’s used as an excuse to not have to make sacrifices for the child’s well-being. Let’s assume that the goal is to help children become as resilient as possible and also to strive to not put them through harmful or depriving experiences where superhuman resilience is required. 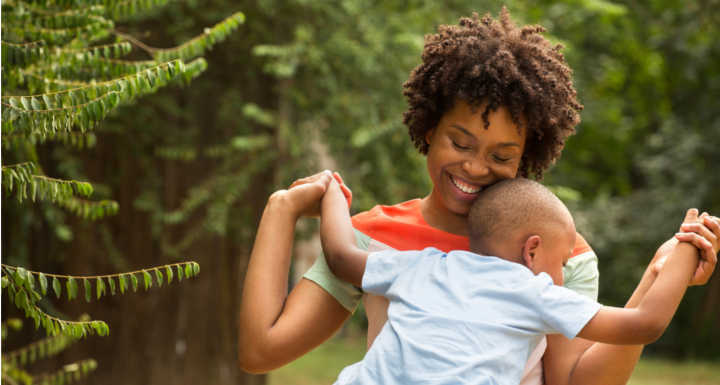 First is a child’s attachment quotient, occurring when a child feels loved and secure in her primary bonds and develops a strong foundation for personality. This will enable her to go through many trials and still feel strong inside. An attachment quotient is built through meeting the child’s needs early in life, displaying continuity, being nurturing and not disappearing. In short, consistency. This in turn builds the ability to trust others — a trait needed to weather whatever changes and storms life may bring when resilience is needed. It literally builds brains. Second is the ability to be independent, assertive and strong. Children who are encouraged to go into new situations will learn to cope with and negotiate these new environments and adapt. They’ll build self-confidence helping them figure out what other new environments require from them. Training kids early on to solve their own problems, to make choices and to seek what they need is key to building resilience. Third is their ability to create structure and order for themselves. This develops by providing a lot of structure and boundaries for them early in life and requiring them to do the same for themselves. An ordered day and schedule, along with the requirement to order their own world for themselves, builds internal order and security. Cleaning their rooms, picking up and organizing their things and helping with chores gives kids a feeling they can create structure in a chaotic situation when needed later. Fourth is how they look at failures, mistakes, messes and the like. Resiliency requires the ability to not overreact to mistakes made by one’s self or others and to solve problems instead of getting angry, critical and over-reactive. It’s essential to build into your child the ability to not get overworked at problems, but to solve them. It begins with the way you respond to mistakes, failures, disobedience and problems. If you don’t overreact or use anger, but respond with calm problem-solving techniques, your child is more likely to do the same. Dr. Henry Cloud and Dr. John Townsend, psychologists, leadership coaches and the ­authors of many books, selling over 5 million copies, including Raising Great Kids, Boundaries, Boundaries with Kids and Mom Factor — as well as the hosts of the syndicated national radio program “New Life Live.” Want more? You can experience the wit, wisdom and ­understanding of Dr. Cloud and Dr. Townsend through the Solutions Audio Club. Each month you’ll ­receive four ­exceptional audio recordings by the ­doctors, mailed to your home. Their biblical solutions for relationships and life’s challenges will help you invest in the future of those you love, so enroll today! For more information or for a ­complete list of their ­extensive ­resources and speaking ­engagements, call (800) 676-HOPE or visit their website at cloudtownsend.com.